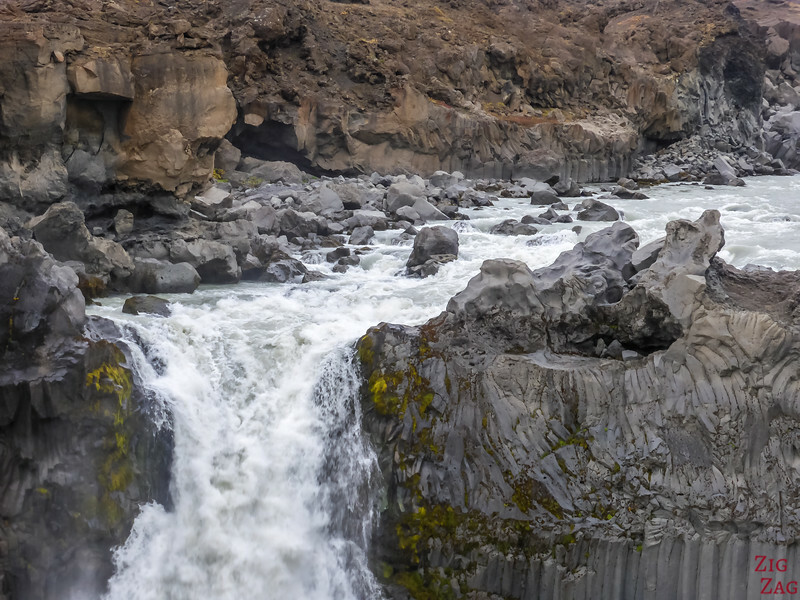 The Aldeyjarfoss Waterfall is an off the beaten path experience in North Iceland. 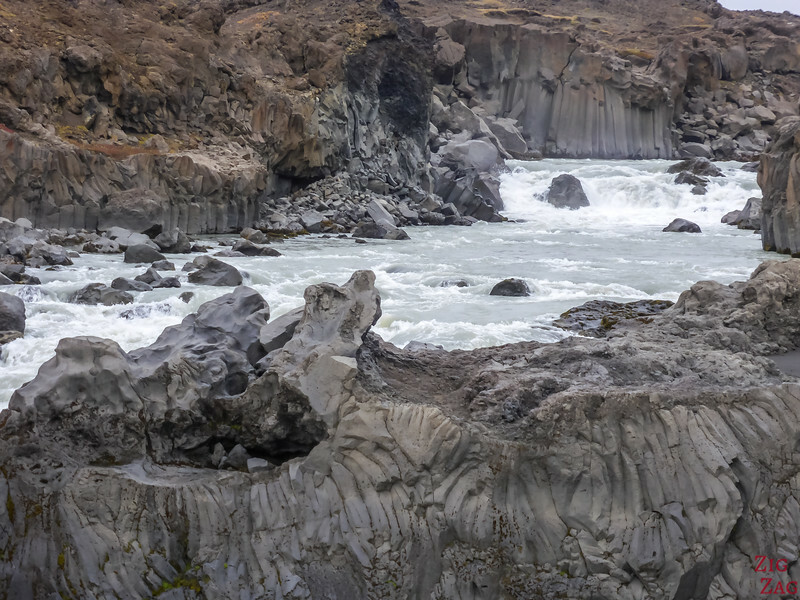 The waterfall is accessible on a 2h detour from Godafoss and offers alien-looking landscapes with strangely shaped basalt columns and a 20 m high waterfall with glacier waters. Here is my guide to help you plan your visit to the falls. 4WD required. 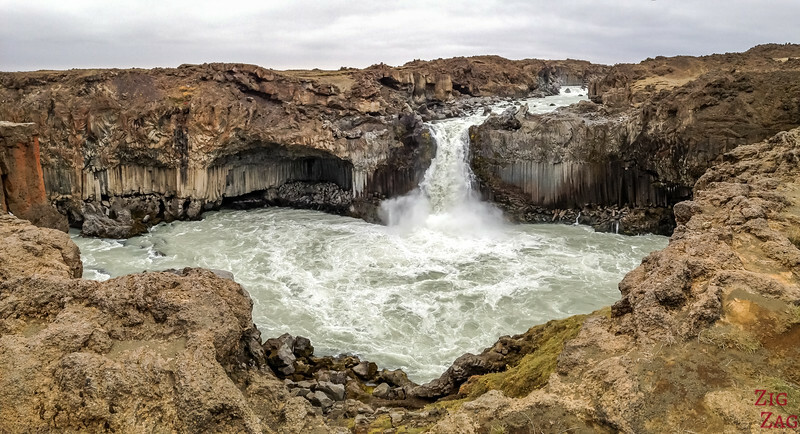 Like Godafoss, the Aldeyjarfoss waterfall, situated on the Skjálfandafljót River, is fed by the Vatnajökull glacier. The water flows into a narrow passage before dropping 20 meter into a wide basin. The drop is not that impressive, but the surrounding landscape brings drama which is why it is one of my favorite waterfalls. 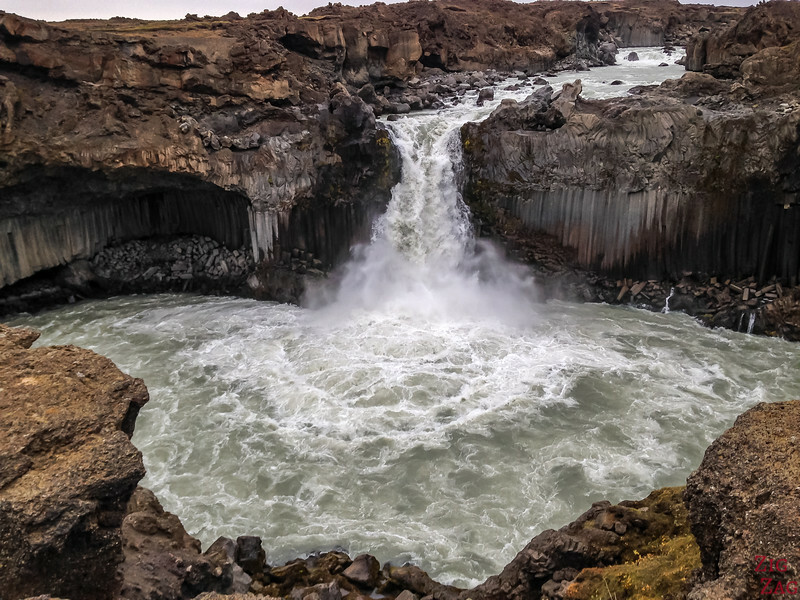 The interest of this waterfall, like Svartifoss in the Skaftafell park, is in the surrounding amphitheater of basalt columns. 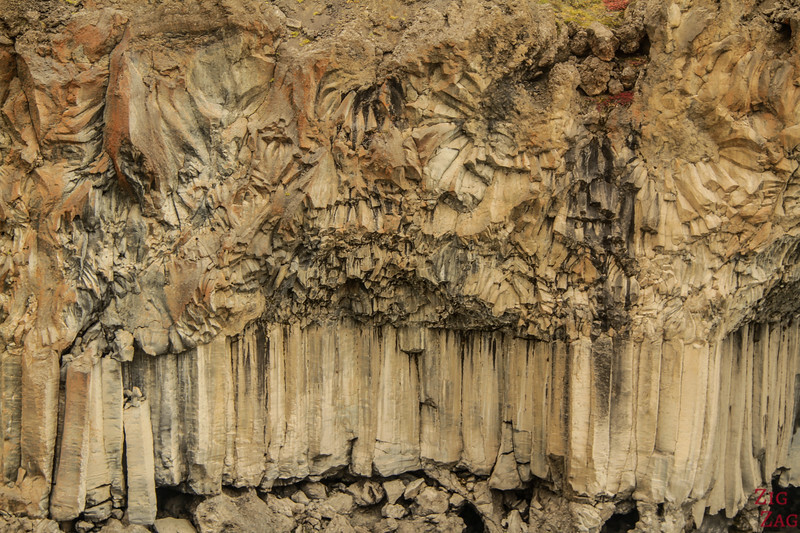 Although those columns ares not as straight and defined as the ones of Svartifoss, I think Aldeyjarfoss is more fascinating with different shapes and layers in the rock walls. I do recommend the boring drive off the beaten track to admire the unique ‘architecture’ of this waterfall. First portion of the road - easy. 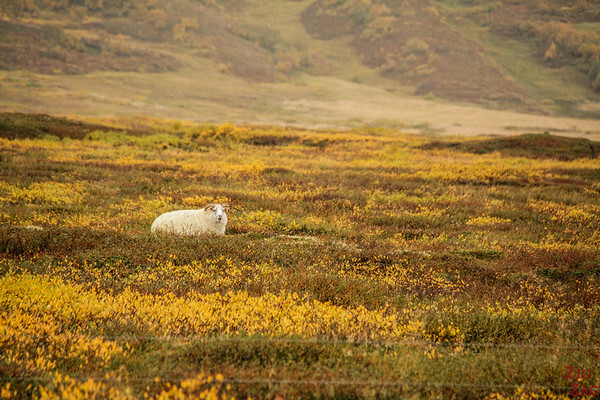 Just be careful with the sheep! 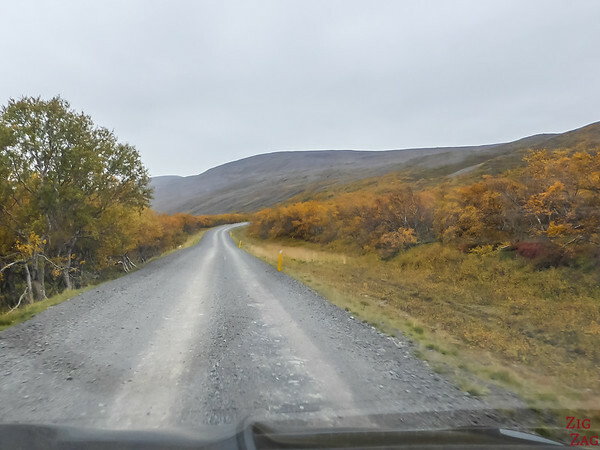 Then turn left when the waterfall is indicated on F26 Road only allowed to 4 WD and drive 5km. You can open the gate of the farm but do not forget to close it after! The sign indicates river crossing but do not worry it is only after the waterfall if you decide to continue on F26 to the highlands. 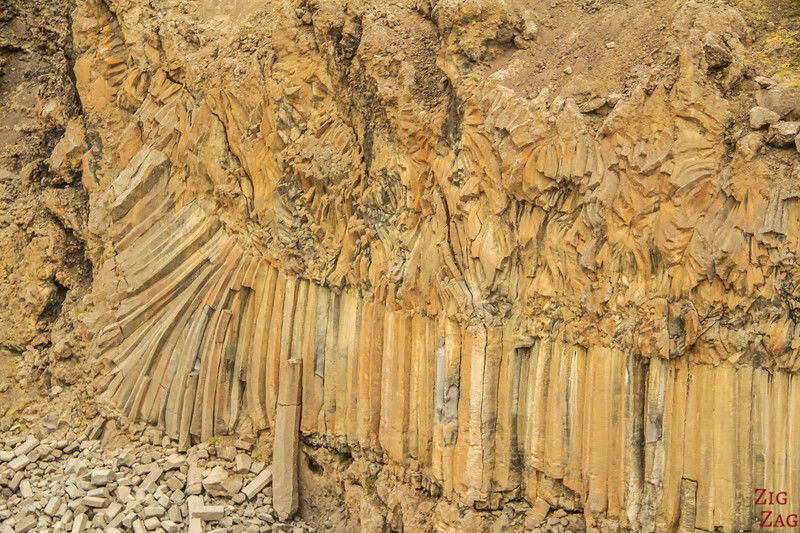 Aldeyjarfoss, along with many other beautiful places, is included in my eBook: The Road Trip Guide - Iceland. 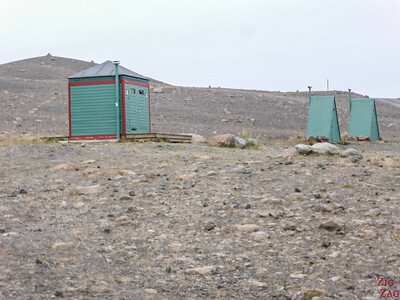 You will spot the waterfall parking area easily with the toilet cabins. It is a 10/15 min walk from the parking to the view of the waterfall. There is a path but I spotted it too late. I just walked across in the rocks. Th drop is only 20 meter, but because it is so narrow, it is quite powerful. The rushing sound and the splash are quite impressive. Photos can't give justice to this waterfall. After the pool, the waterfal flows in a narrow canyon that flattens quite quickly. 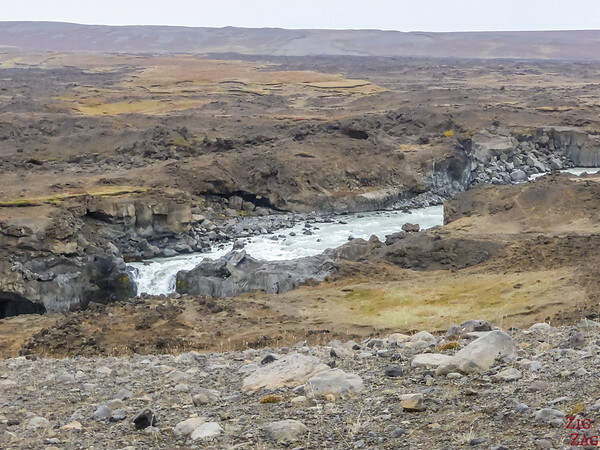 As I wrote above, the most interesting part of the Aldeyjarfoss waterfall is the surrounding land. 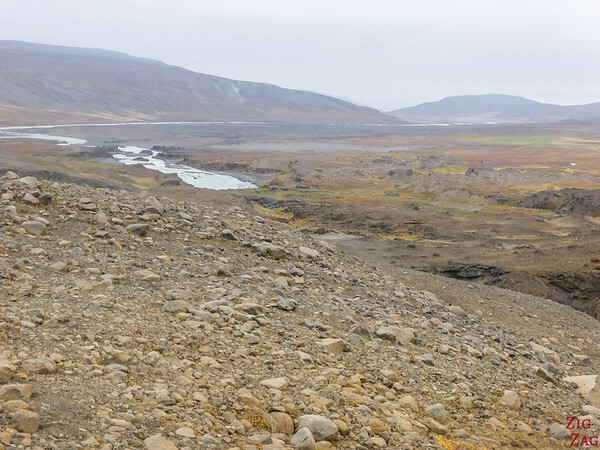 It is part of a lava field, named Suðurárhraun, which was originally formed by eruptions, around 9500 years ago. Sadly I was not able to capture the bare landscape that created for me feeling of being on another planet. However this particularity makes the water milky blue. 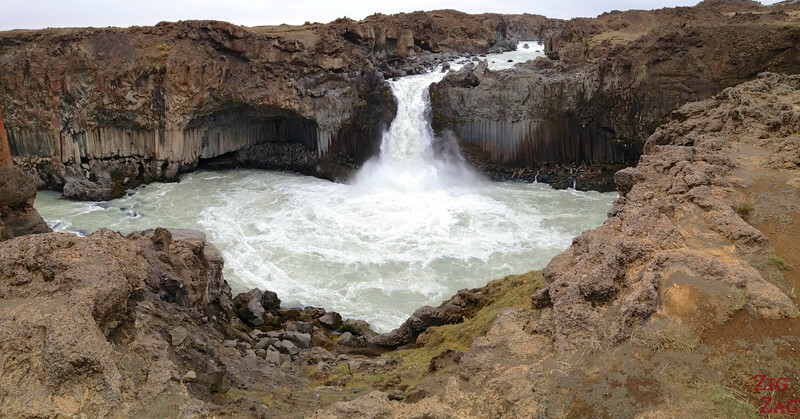 You can see it well on the picture below of the river section above the waterfall. If you want to photograph the waterfall with best best light at sunrise and sunset or during the night with the northern lights, you need to stay close by. Would you take the detour to see it? 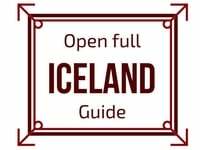 Is Aldeyjarfoss accesible in early Nov? F26 will be closed in November. If you like hiking in snow, you can park on Road 842 and walk the last couple of km. Some company offer private tours in Super Jeeps. Do you know how long the hike in is from where you saw the non 4WD cars parked at the cross roads? Or is it the 5km you mention? And is that segment of, I think, F26, really not good for 2WD? This segment was not bad the day I drove it but who knows on other days. Just know that you could be in trouble if reported to your car rental company as it is often forbidden by their contracts.